Today, you are a member of ... Happy New Year ! - You Are A Member! Today, you are a member of … Happy New Year ! Baphomet, Members. The goat-headed, half woman, half man signifier of all things occult and gnostic, grown out of the ancient Egyptian deity Banebdjedet who was the soul of Osiris and pointed to by Aleister Crowley as the divine androgyne. Pagan, heretical, hybrid, and mystic, Baphomet has an iconography and history as entertaining as the well known monolords like Christ and Mohammed, except Baphomet’s mocks their boring singularity. Also consider Ballet: it’s dance, but it’s has nothing to do with boogieing. Relatively new to the scene as an invention of 14th century Renaissance weirdos’ fetishistic attention toward technical perfection and then blossoming into a French experiment in how far they could push the impossibility of being lithe and elegant in tutus, tights and corsets, ballet is a thoroughly normative affair though (arguably) no less beautiful in it’s iconography. 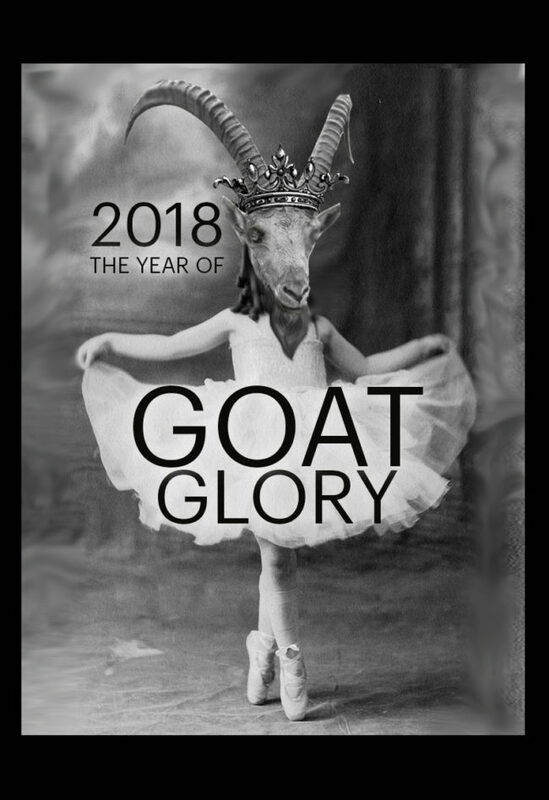 So as we round the corner into 2018, let’s seek to make a new year that has a little Baphomet, a little ballet. Whether sporting the sign of the horns or en pointe in toe shoes, enjoy 2018 as a year of apostic, if well-balanced, tendencies.